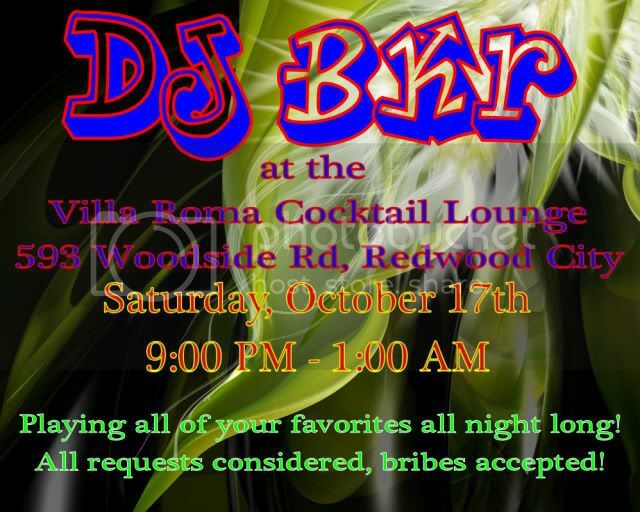 Come on down to Woodside Road in Redwood City to get your party on! VILLA ROMA COCKTAIL LOUNGE!! I will be playing all of your favorites as well as most requests!! OPEN TO THE PUBLIC! All requests considered, bribes accepted! Cris is a crack-up. He puts on a really good show. He also pulls a big crowd so there is a party wherever his show is.